A space rock the size of two London red buses will hurtle past the Earth at a velocity of 6.7 kilometers per second or 14,987mph and could cause grave damage if it were to hit our planet. According to NASA, the Asteroid 201 8NM is about 62 feet or 19m in size and it will zoom past the Earth at a distance greater than the distance of the moon from our planet which is usually taken into consideration while tagging an asteroid is near-Earth or potentially hazardous asteroid among other categories of asteroids. Experts at Jet Propulsion Laboratory (JPL) estimated the distance of Asteroid 2018 NM from the Earth at 0.00348 AU or 333,332 miles which is its nominal distance. The space rock will make its closest approach to the Earth at a distance of 332,608 miles tomorrow morning i.e. on July 17 when it will pass through the orbit of the Earth and the moon. After taking a sling by the Earth, it will continue its path across the solar system and will pass through the orbit of Mars in few months. 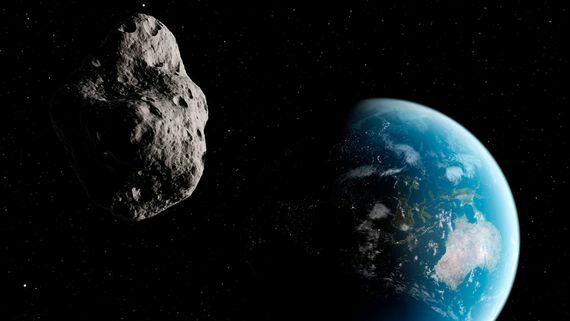 Researchers at NASA stated that the last time when Asteroid 2018 NM made a close approach towards the Earth was on July 13, 1983. This month, there are over 11 asteroids that will make a close approach to the planet of which, there’s only one asteroid that has been classified as Potentially Hazardous Asteroid (PHA). These are rogue space asteroids measuring more than 328 feet or 100m in size and can travel close to the Earth within 0.05 AU or 4,646,404 miles of the Earth. Fast forward to July 21, an asteroid measuring 367 feet in size will make its close approach within a distance of 4,478,616 miles. 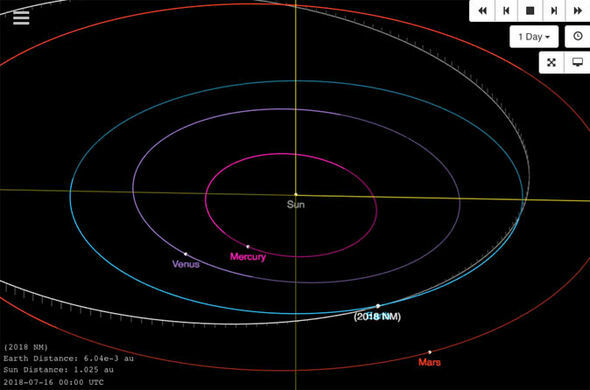 Apart from this asteroid, there are two more asteroids with a size more than 328 feet that will flyby Earth in September although these aren’t too close to the Earth and thus, there is nothing to worry about. There are more than 18,000 Near-Earth Objects that NASA has yet discovered of which, some are PHA or Potentially Hazardous Asteroids. NASA keeps a track of all these space rocks in order to contemplate if these rocks will impact the Earth now or in future using its array of ground-based and space observatories around the world.